1. This invitation for submission of Bid follows the General Procurement Notice for the year 2018/19 which appeared in the PPRA Portal of 25th July, 2018. 2. 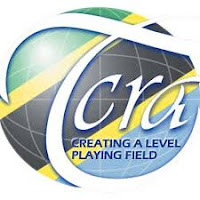 The Tanzania Communications Regulatory Authority has set aside funds for its operations and intends to apply part of the funds to cover eligible payments for the Development of Website, Supply of Computers, Servers and Provision of Internet Services for 5 Public Secondary Schools in Tanzania. 4. Tendering will be conducted through National Competitive Bidding procedure specified in the Public Procurement Regulations, 2013 – Government Notice No. 446 as amended in 2016, and is open to all Tenderers as defined in the Regulations and is open to all tenderers as defined in the Regulations. 5. Interested eligible Tenderers may obtain further information from and inspect the Tendering Documents at the office of the Secretary, TCRA Tender Board, Tanzania Communications Regulatory Authority, Mawasiliano Towers, 20 Sam Nujoma Road, P.O Box 474, 14414 Dar Es Salaam from 9:00am to 3.00pm on Mondays to Fridays inclusive, except on Public Holidays. 6. Tendering Documents may be collected by interested Tenderers upon submission of a written application to the address given under paragraph 5 above, and upon payment of non-refundable TZS. 50,000.00 (Shillings Fifty Thousand Only). Payment should be made by Cash, Banker’s Draft or Banker’s Cheque to Tanzania Communications Regulatory Authority. 7. All tenders must be accompanied by a Tender Securing Declaration in the format provided in the Tendering Documents. 8. All Tenders in one original plus two copies properly filled in, and enclosed in plain envelopes must be delivered to the Secretary of Tender Board, TCRA Mawasiliano Towers; 5thFloor, Room 511. The outer cover shall be clearly marked the Tender Number and Description. The deadline for submission of tenders is at 11.00am on Thursday 22nd November, 2018. 9. Tenders will be opened promptly thereafter in public and in presence of Tenderers or their representatives who choose to attend in the opening at TCRA conference room, Mawasiliano Towers, 20 Sam Nujoma Road, P. O. Box 474, 14414 Dar Es Salaam. 10. Late Tenders, portion of Tenders, Tenders not opened and not read out in public at the opening ceremony shall not be accepted for evaluation irrespective of the circumstances.